Add some classic beauty to your bedroom decor with this dresser from the Shoal Creek collection. It features six drawers that open and close on smooth metal runners. The four lower drawers are extra deep so you can store shirts, slacks, shorts and more! 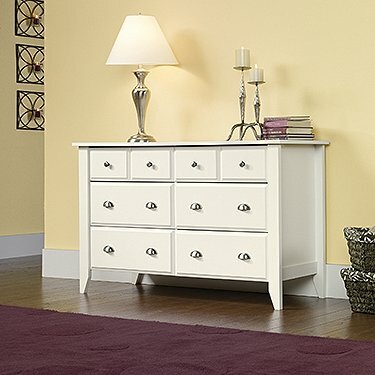 Finished in a sleek Soft White finish, this eye-pleasing dresser is sure to dazzle and keep you organized.